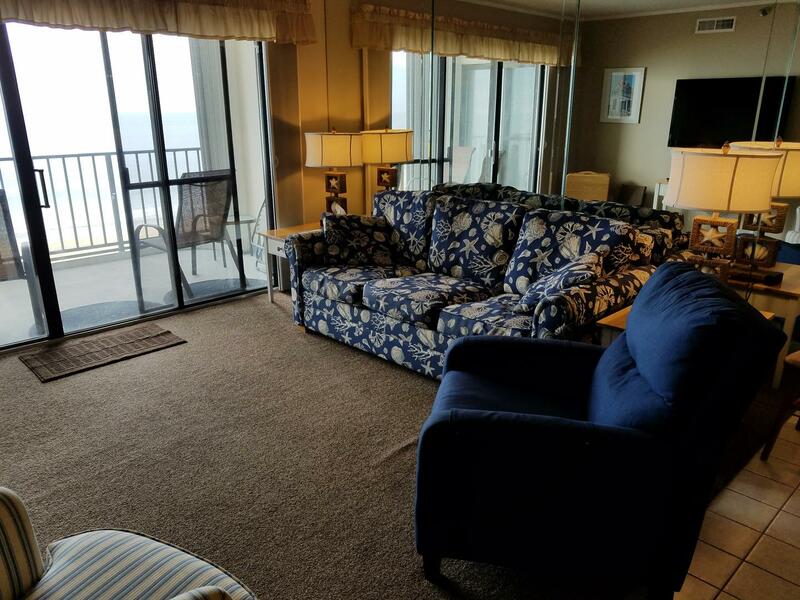 Ocean City MD Vacation Rental – Plaza 0612 | North Ocean City (94th St to DE Line) Ocean City MD Rentals. PLAZA 612 9800 Coastal Hwy. Mini-Week Flex Program (3 night minimum, check-in / out any day!) 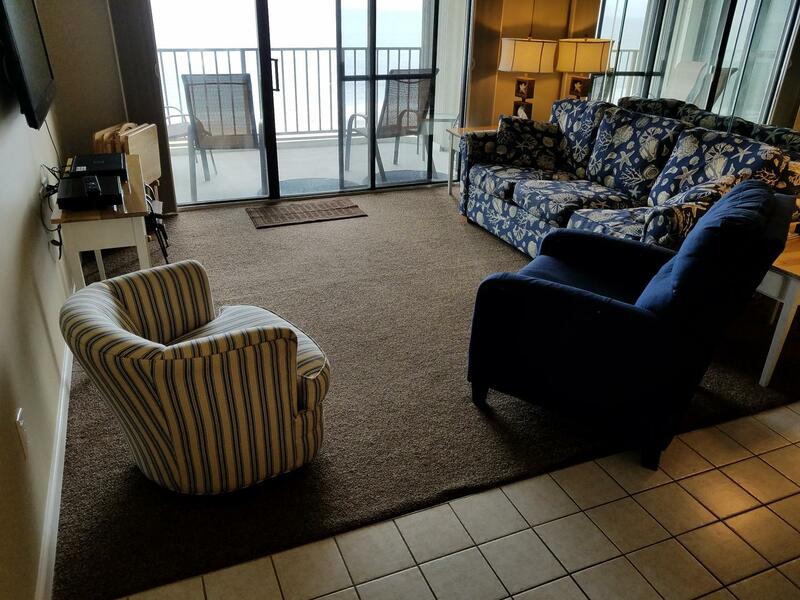 NON SMOKING - NO PETS Direct Oceanfront 2 bedroom, 2 bath with open den condo. Come enjoy this beautiful condo with updated, well-equiped kitchen, boasting gorgeous counter tops and bead board cabinets. The dining table comfortably seats six for family gatherings. When the fam is ready to watch a movie or a game, the large wall-mounted TV will serve you very well. There is ample seating on the balcony to enjoy the spectacular view spread out before you while you enjoy that last glass of wine of the evening. This condo includes central air, fully equipped renovated kitchen, dishwasher, microwave, 3 Flat Screen TVs, 2 DVD players, and cable. There is also owner-purchased wi-fi in the condo. Washer and Dryer in unit. Maximum Occupancy is 8. BDRM 1: Queen Bed BDRM 2: 1 Double Bed and 1 Twin Bed LVRM: Queen Sleep Sofa DEN: Twin Sleep Sofa. Registration fee $50, payable from May 1st through October 31st, includes parking for two vehicles. Fee for extra vehicles: $50.00 per vehicle/per week (cash only). The Plaza has onsite Restaurant and Tiki Bar (In Season), 24-hour Security, dry - heat Saunas, Hot Tub, indoor, outdoor and kiddies' pools and basic WiFi is available for guests. Great stay, love the Plaza! This place has it all...indoor pool, outdoor pool (with bar), oceanfront, balcony. Unit 612 was great, clean and roomy. Love that Long & Foster is onsite in the lobby. Check in and out is super easy. Will definitely stay here again. The kids and I really enjoyed our stay at the Plaza. The amenities were great and the staff was super friendly and helpful. The condo was amazing, well maintained and comfortable. We will definitely be back!